The Adirondack Sky Center & Observatory is looking forward to stargazing with you. 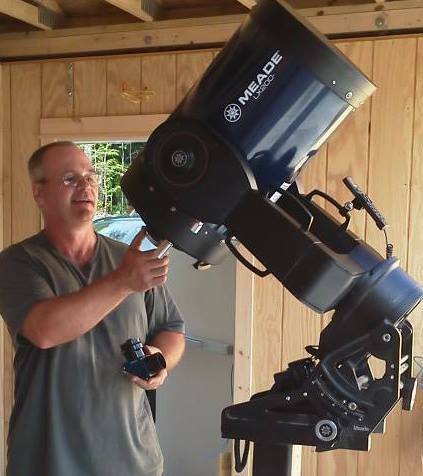 Be sure to check out our stargazing schedule at the Roll Off Roof Observatory, our Facebook page for current observing notices and our events calendar for the latest happenings at the ASC. For additional information feel free to contact us at the ASC Office (Monday - Friday, 10:00 A.M. - 5:00 P.M.) at (518) 359-3538. Whether you are coming to the Adirondack Sky Center & Observatory for a Friday evening stargazing session, or looking to attend an ASC event, we recommend that you take some time to discover the Tupper Lake area. Some popular favorites include: visiting The Wild Center, hiking the Tupper Lake Triad, discovering our local breweries and simply taking in the breathtaking Adirondack landscapes.